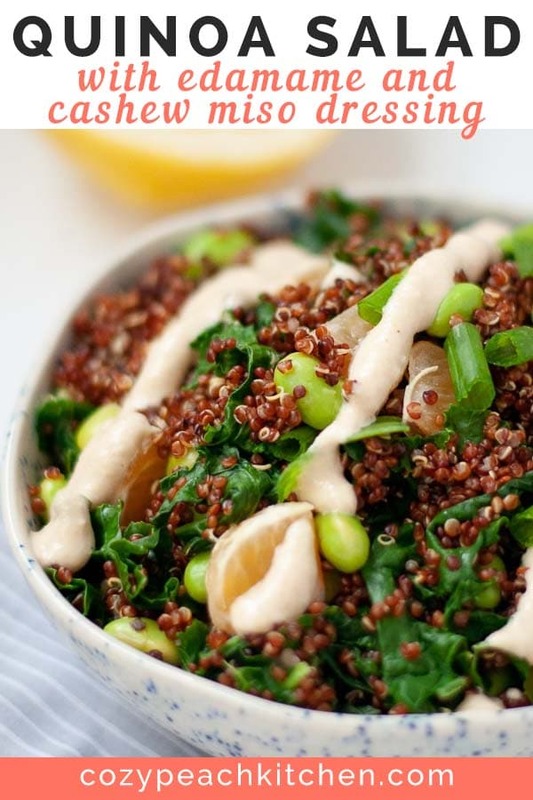 Quinoa edamame salad is nutrient packed and so easy to make. It takes just 30 minutes and uses 4 main ingredients! 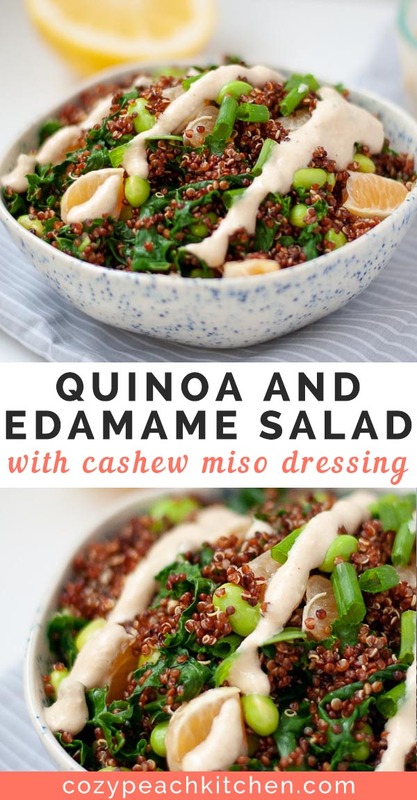 A creamy & umami cashew miso dressing adds a burst of flavor. A lot of my recipe ideas start with “What do I want for dinner this week?” and “What do I want for dinner tonight and lunch this week?” because recipe testing is inevitably what I end up eating for the week. 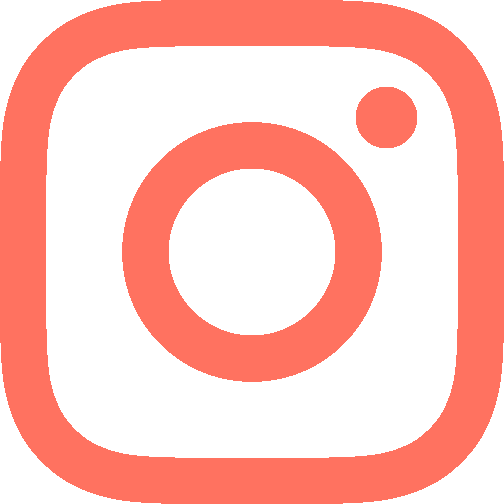 This week I sat in my car on the way home from work (where I always seem to think about food the most) and hypothesized. Salad? Well, yeah, that’s fine. 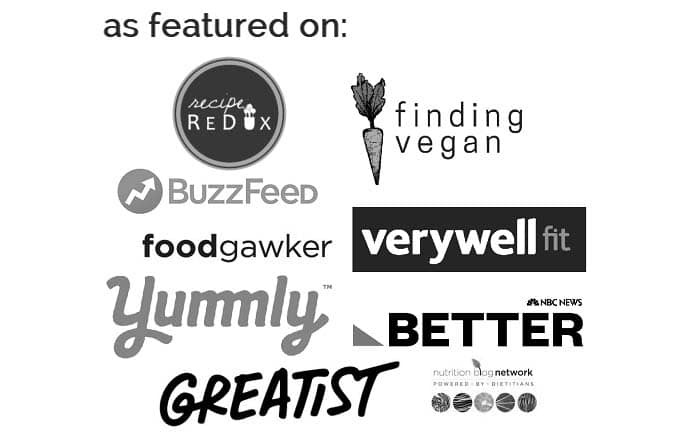 What about…quinoa salad? Okay. A little overdone, but I can deal with it. 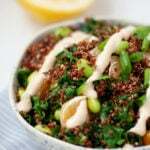 Tofu quinoa salad? Yeah, but too much prep. I don’t want to deal with tofu right now. And it’s so. good. Why is a simple, easy to make quinoa edamame salad so good? Cashews are one of my favorite ingredients. They blend up into a creamy dressing easily, and when combined with miso their savory flavor is enhanced. Miso is fermented soybean paste that’s loaded with umami flavor. It’s one of my favorite ingredients! Find it working its umami magic in creamy vegan mac n cheese and smokey miso bean dip. Let’s break down the other ingredients. 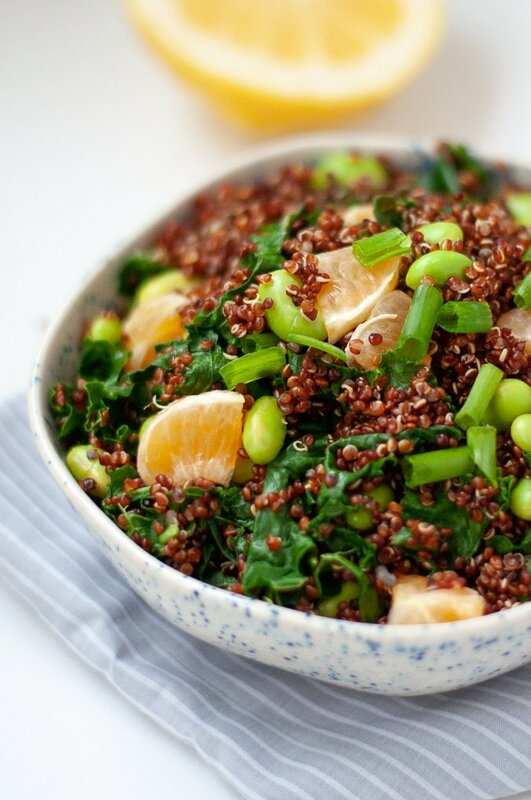 Quinoa is a grain and a complete protein. It’s a good source of fiber, protein, and B vitamins. Tangerines add a bit of citrus tang and sweetness. No salad is complete with a touch of fruit! 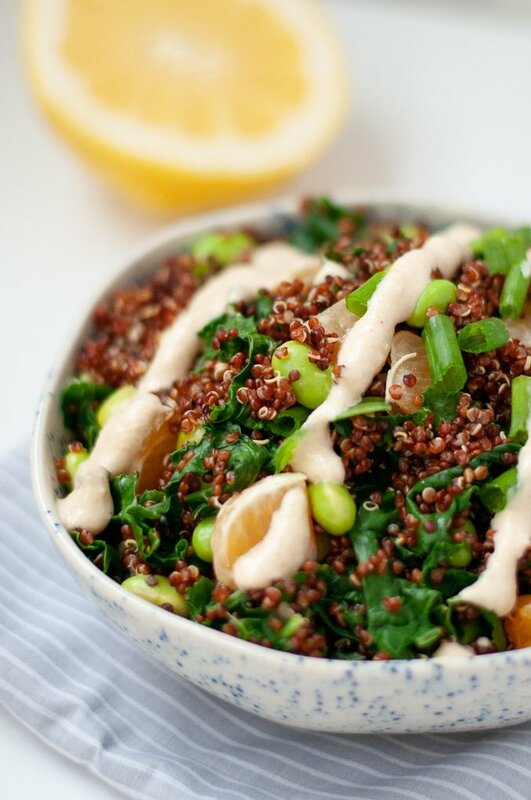 Kale pairs well with the nutty flavor of quinoa. Rip it up into shreds and combine it with the quinoa for the last few minutes of cooking for fuss free steaming. There’s a million and one ways to repurpose this quinoa edamame salad. Pile it high on (more) leafy greens for a hearty salad or enjoy it heated up as a taco stuffer. It also goes well as a side salad at barbecues and parties! 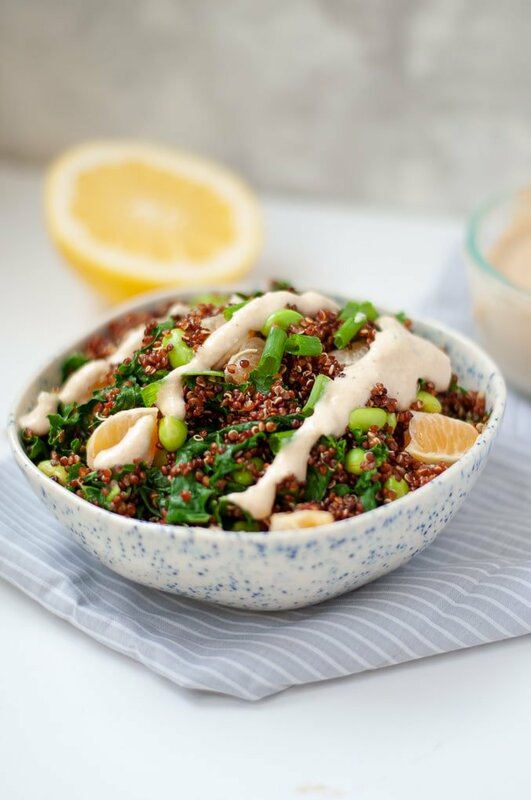 Easy 5 ingredient grain salad that's loaded with flavor from cashew miso dressing. Add the quinoa, vegetable broth, and salt to a medium saucepan and bring to a boil. Once boiling, bring down to a simmer and cover. Cook for about 15 minutes, or until soft and fluffy. Add the kale for the last five minutes of cooking (this will wilt and steam the kale). Using a sharp knife, slice each clementine segment in half width-ways. Toss together all ingredients (including dressing) in a medium bowl. Chill or 3-4 hours, or until cold, before serving. Drain the cashews. 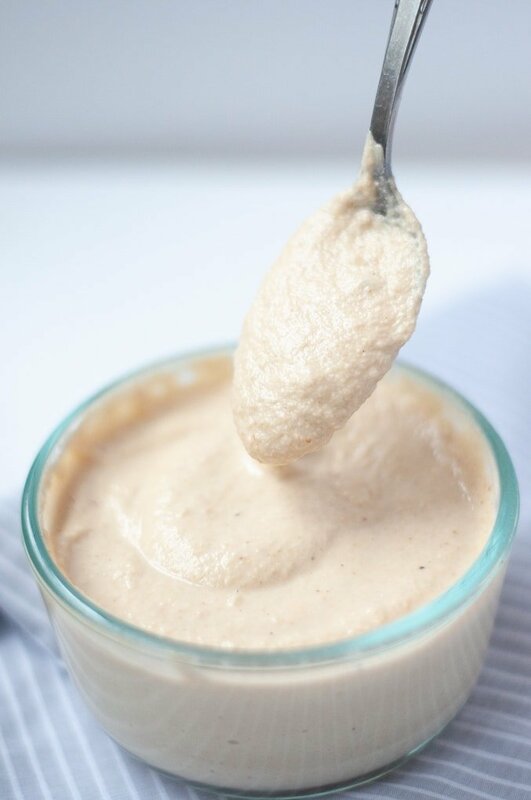 Combine cashews, vegetable broth, miso paste, garlic powder, and apple cider vinegar in a food processor. Process until smooth. This takes about 1-2 minutes. Scrape down the sides with a spatula as needed. Makes about 1 cup of dressing. Use as a topping on the quinoa edamame salad and store remainder in a refrigerated container for up to one week. *I buy frozen shelled edamame and cook according to package instructions. *You can also soak the cashews in room temperature water overnight. I use the hot water method for when I'm in a hurry or if I'm feeling impatient.